New York City educators will face new restrictions on handcuffing students or suspending them from school, as part of regulations proposed earlier this month by the city’s education department. If the proposals are adopted as expected, schools will also have to begin tracking the number of times students are tied down or otherwise restrained. Last year, an investigation by ProPublica and NPR showed that restraints are frequently used in schools across the country. Hundreds of students are injured each year. Our reporting also found that many of the nation’s largest school districts, including New York City, do not report the number of restraints to authorities despite being required to do so by the federal government. Los Angeles and Chicago, the country’s second and third largest school districts, also reported zero restraints. New York City’s new regulations would require school safety agents to file monthly reports with the mayor’s office on the use of restraints. It would also aim to reduce schools’ reliance on 911 calls to manage disruptive students. The city’s education department plans to give de-escalation training to more than 1,500 educators across the city. 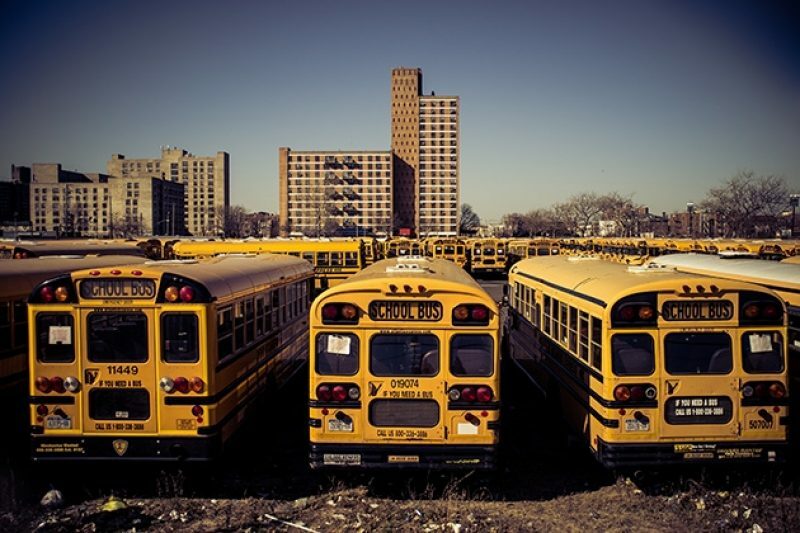 “We need to try to establish a system that both improves safety for teachers and kids in schools, and increases decency and learning,” Vincent Schiraldi, senior advisor to the Mayor’s Office of Criminal Justice, told ProPublica. Restraint practices would change, as well. The city’s specialized school safety agents and police officers would no longer be able to restrain students under 12 in handcuffs, except as a last resort. For children of all ages, school security agents will not use any restraining device when alternatives are sufficient. New York’s reforms are part of a wider nationwide move to decrease the use of restraint in public schools. Over the past several months, a number of states have proposed changes to their schools’ discipline policies. In late 2014, Massachusetts set new limits on the use of restraint and seclusion in schools. By the end of this year, state educators will be prohibited from holding students facedown on the ground in all but the rarest instances and they will need permission from principals to give students “time-outs” that are longer than 30 minutes. Virginia legislators also approved a bill earlier this year that will require state leaders to set limits on the use of restraint and isolation in public schools. If approved by Virginia’s governor, the state education board will be required to enact new regulations that align with the federal guidelines on these behavioral interventions. Aside from restraints, New York City’s proposed code would also reform suspension policies, requiring schools to get permission from a central office before suspending a kid for “defying authority.” During the 2013 school year, more than 8,800 kids were reportedly suspended for defying authority, which can include talking back to a teacher or missing several days of class. The city has committed over $5 million dollars to support the reforms. The Department of Education expects the changes to go into effect soon after a public hearing in early March. Education attorney Nelson Mar of Legal Services NYC–Bronx told ProPublica that while he applauded the reforms, their value will depend on how they are implemented. “You can put a lot of good things on paper but at the end of the day, if there are no structures put in place to ensure compliance or enforcement, it could be meaningless,” said Mar.